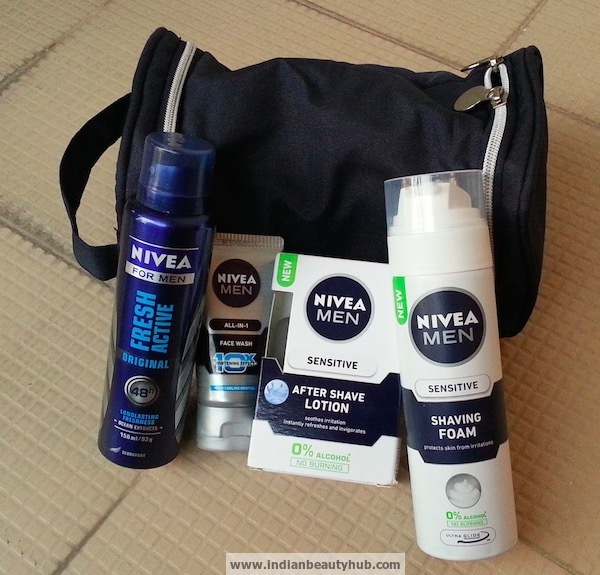 Hey everyone, today I am reviewing Nivea Men Grooming Kit, on behalf of my hubby. 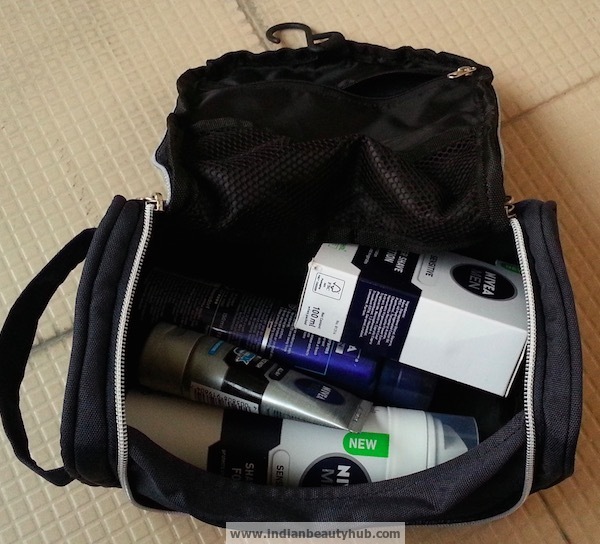 He really likes Nivea products specially their shaving foams, after shave lotions, deos and face creams. 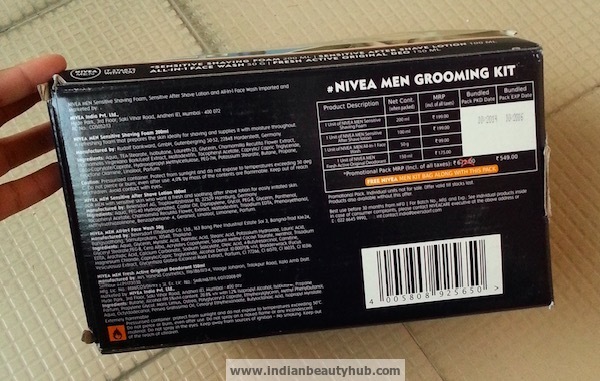 He was looking to buy an after shave lotion and shaving foam online where he saw this Nivea Men Grooming Kit. He found all the contents of the kit usable (no nonsense products like shower gels etc.). Also the price of the kit made it a value for money buy. He bought this grooming kit a few weeks back from Snapdeal.com. The kit also comes with a free, good quality shaving kit bag. 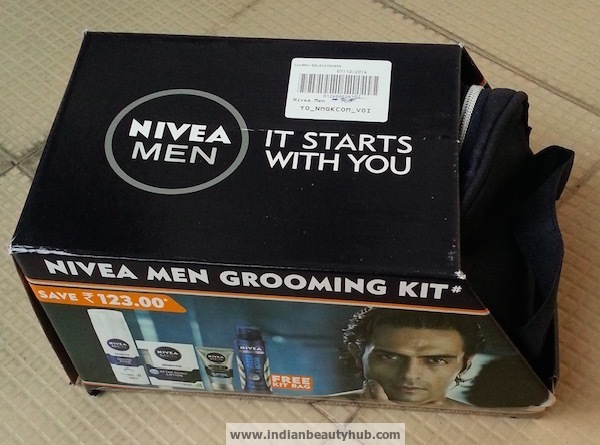 Nivea Men Grooming kit includes 4 products – Face wash, Deo, Shaving foam and After Shave lotion. 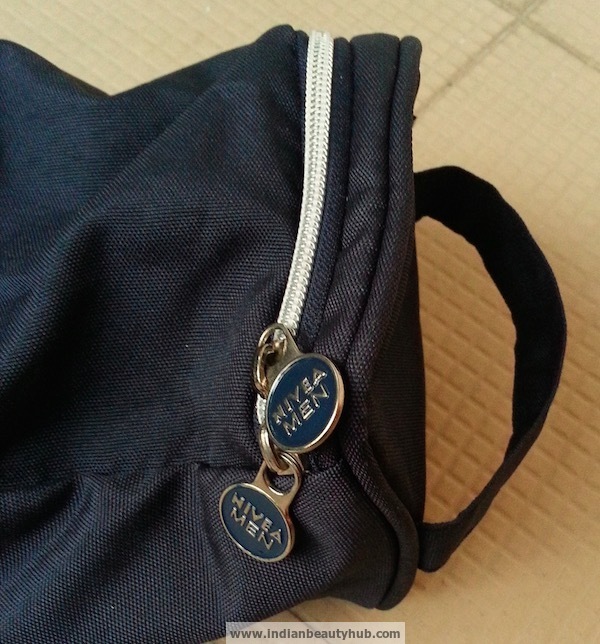 All the products are placed inside a stylish navy blue pouch which is ideal for traveling. 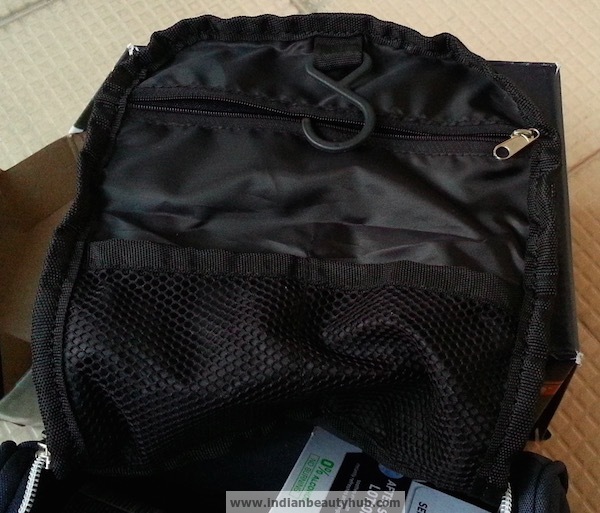 The pouch is very spacious and comes with pockets to store different stuff like razors, blades or other important stuff which is required while traveling. The kit contains all the usable men grooming products. Free shaving kit is very sturdy and is ideal to travel with. Ideal for gifting purpose too. 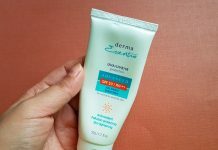 It contains Alcohol free after shave lotion. 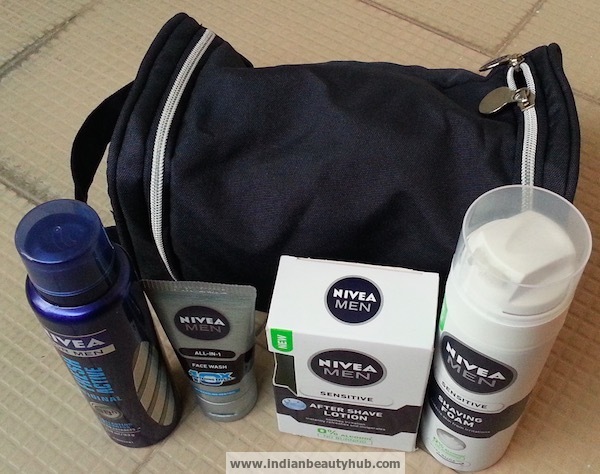 Overall he really liked Nivea Men Grooming Kit. 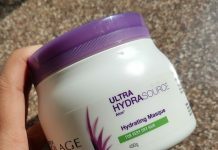 It contains all the necessary products required for men grooming. 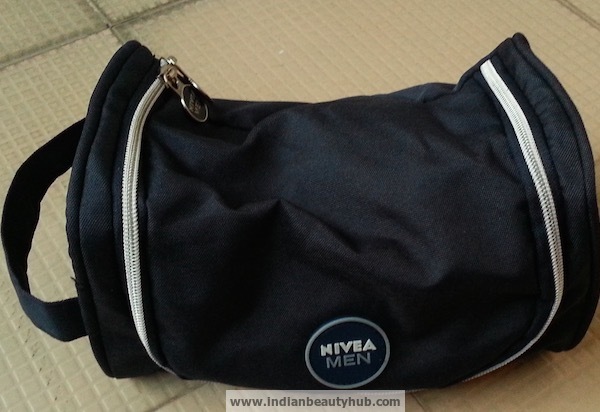 Nivea Men Grooming kit can be an ideal gift for your friend, brother, hubby or father. 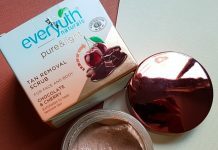 I have also tried Park Avenue Men’s Grooming Kit and it was also worth the price. But the quality that you get in this one is much better when compared (Opinions may vary according to users). Please help me the procedure of shaving, with Nivea men &women shaving cream, because I like it and know how to use it.. Please help.